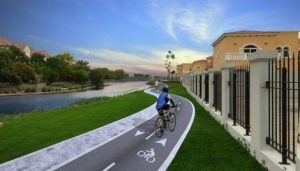 Master developer Nakheel is investing Dh150 million to bring 105 kilometres of bicycle tracks to its communities across Dubai, with all routes linked to the Government’s Cycling Master Plan. 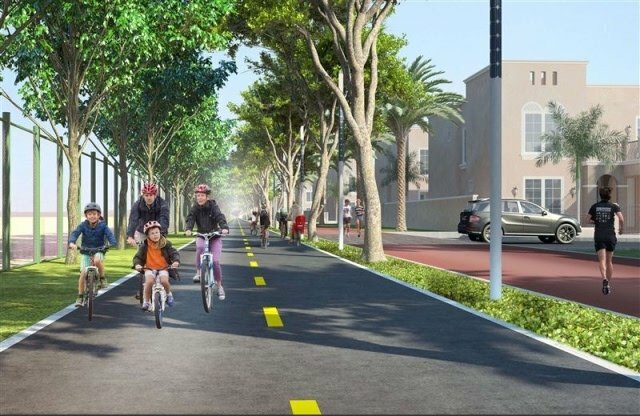 Safe, scenic bike routes are being created to encourage recreational cycling and promote health and wellbeing among families and individuals of all ages as part of Nakheel’s commitment to enhancing its developments with new facilities and services. The developer is also building a 10 km ‘super loop’ – for more experienced riders – as part of its cycle route network. 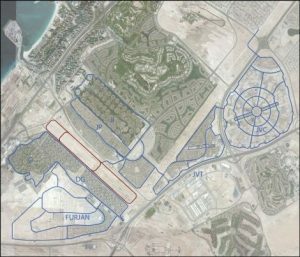 The Nakheel Communities Cycling Masterplan, mapped out today (Wednesday) by Nakheel Chairman Ali Rashid Lootah, will be constructed over the next two years, with phased delivery between now and Q2 2019. 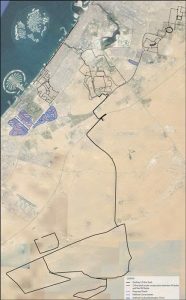 Nakheel plans a series of subsequent bike tracks once the first 105 km are completed. Cycling is one of the fastest growing activities in Dubai, with an ever-increasing number of events, initiatives and groups promoting the sport. Dedicated bike paths are needed to allow both new and experienced cyclists to ride safely, without having to use main roads, says Nakheel. Nakheel Chairman Ali Rashid Lootah said: “Cycling in Dubai has seen a huge surge in popularity over the last few years, with the Government promoting the sport through world class events like the Dubai Tour and by building hundreds of kilometres of bike routes across the city. The new routes will pass through some of Nakheel’s most mature and prestigious communities, where cyclists’ journeys will be enhanced by lush scenery and greenery.